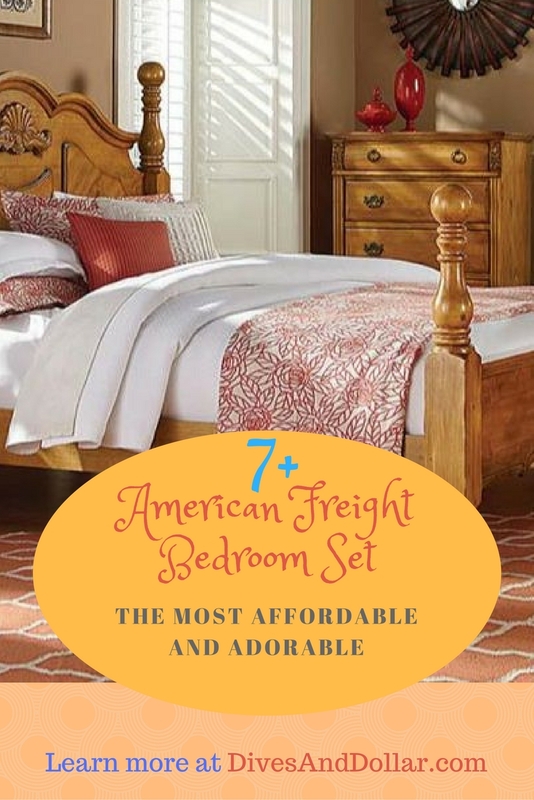 Do you want a bedroom set that will fit into both of rustic and classic style? 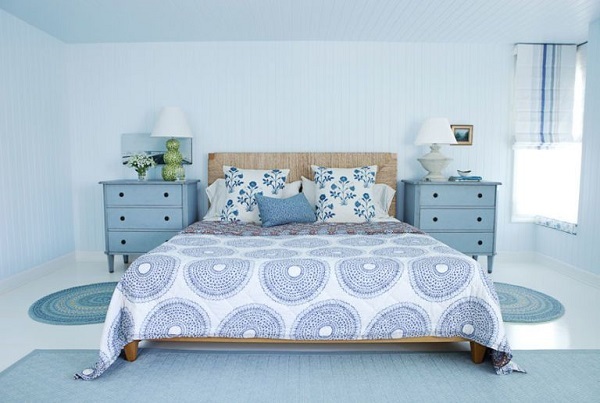 An opulent and high quality upholstered bed with affordable price to buy? A Victoria 4-Piece Queen Bedroom Set by Levin Bedroom sets might be the best answer. With an upholstered headboard and footboard in neutral color linen-look, this bed set will easily steal the show in your bedroom. Meanwhile, dusty brown finish with wax hang-up on acacia solids and veneers bring a luxurious yet rustic style in an instant. The materials itself makes an extra durable and antibacterial furniture that will last almost forever. Furthermore, let’s go check it out our brief review of this glorious collection. Enjoy! The curved line in bedroom set always become an elegant and opulent addition. Furthermore, in this Victoria 4-Piece Queen Bedroom Set, the lovely curved lines were applied to the headboard, footboard, mirror frame accent, and the foot base bracketed profile. All of it gives a classy feeling to this lovely and adorable collection. Meanwhile, the vintage dusty brown finish on acacia solids and veneers represent the rustic style for this Victoria Bedroom Set. 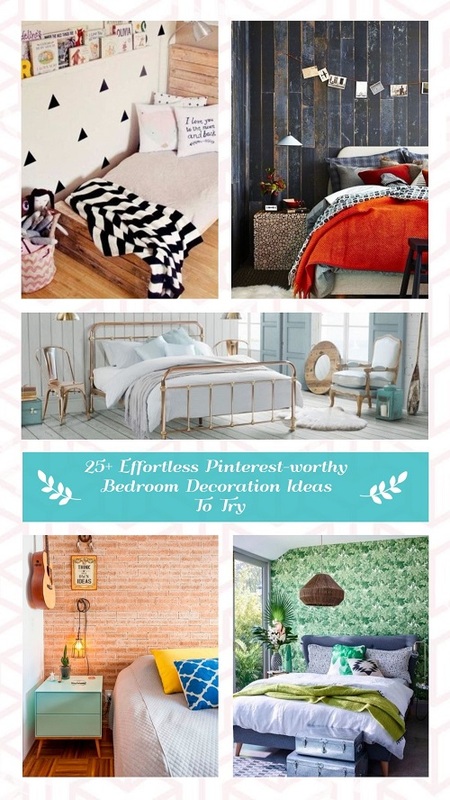 As the result, a collection of rustic yet classic that awakens the warm feeling to your bedroom in an instance. Adopting both of rustic and classic style, Victoria 4-Piece Queen Bedroom Set has a magnificent design that will drop your jaw. The curved line that is beautifully carved in almost every detail of this furniture collection giving you an elegant product to buy. 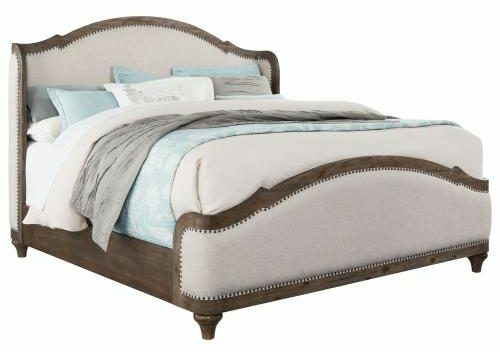 You can see this curving design and rounded wing corners in the headboard that becomes the focal point of your bedroom. Meanwhile, the storage furniture, such as dressers and nightstand, has gracefully curved carving on its drawers front and foot base. It makes a glorious and classy accent that awaken the romantic feeling of the French countryside. 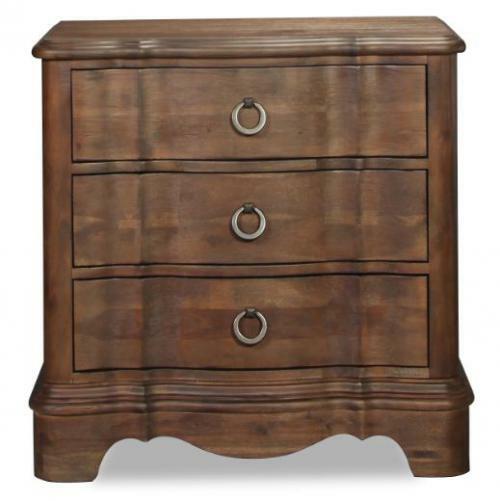 Furthermore, vintage dusty finish on wood with antique nickel finish on ring handles is mixed perfectly to create a magnificent appearance in your bedroom. 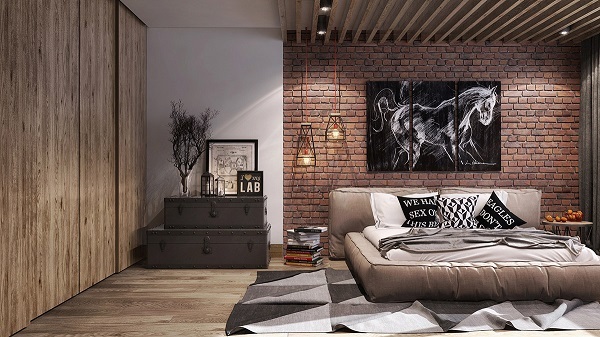 Thus, a masterpiece of the bedroom set in rustic and classic style all you can dream on. Made with acacia solids and veneers, this collection has a great decorative wood fiber beauty. 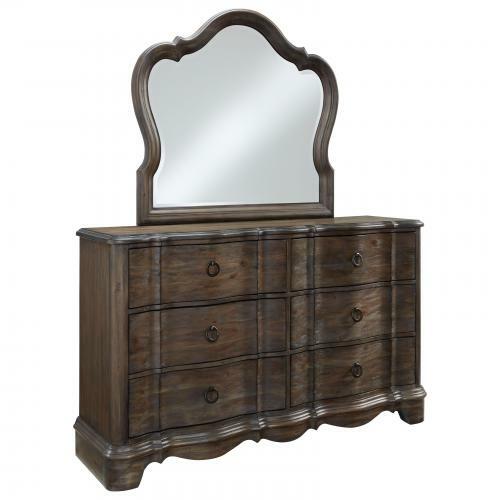 This beauty is polished with a vintage dusty finish that accentuates its charm. In addition, acacia is famous as a strong wood that is quite resistant to impact and fire, also it is moderately stiff. Thus, it contributes a lot to this furniture durability making a dependable furniture that will everlasting. In addition, the drawers have metal ball bearing glides, making it is easier and lighter to pull out. A ring pull handle in antique nickel finish become an antique feature that is not only functional but also becomes a great accent to its drawers. 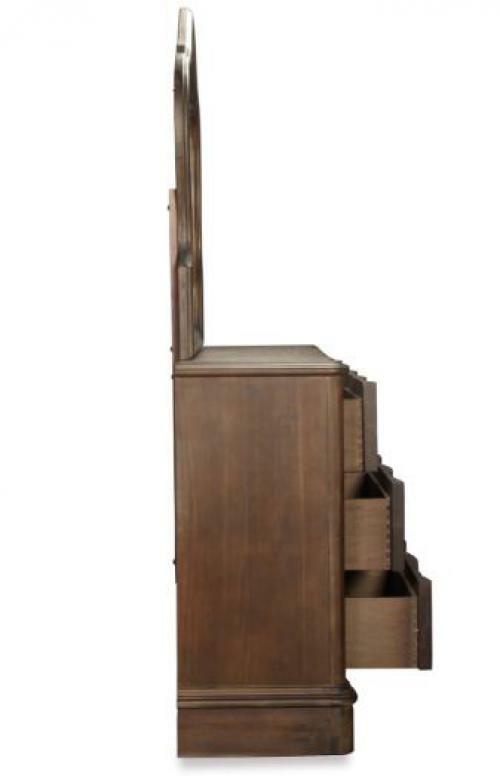 As mentioned above, this collection is very durable with its high-quality solids and veneers. It means that it can endure in many soft to medium scratches. Besides, the acacia solids and veneers make this collection become water resistant, thanks to its characteristic. In addition, as many other natural kinds of wood, the Acacia is naturally anti-bacterial. That means your bedroom set will be free from odors and mold caused by bacteria. Quite an incredible excellence durability of a bedroom set. As a 4-piece bedroom set collection, Victoria 4-Piece Queen Bedroom Set includes a Queen Bed, Dresser, Vanity Mirror, and a Nightstand. Quite a complete furniture set that will fulfill not only your bedding essentials but also your wardrobe storage option. 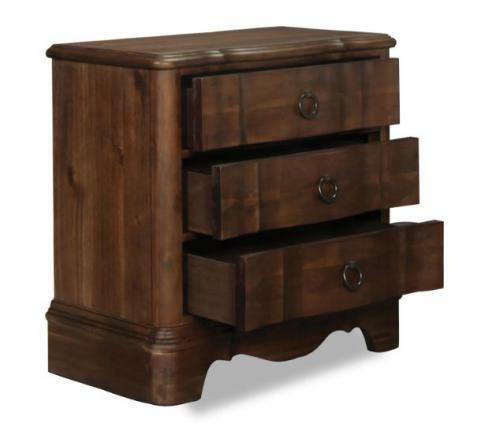 In addition, if you want to add more storage option you can add a Chesser and a chest for some bucks. The dresser has 6 drawers that are more than enough to hold your stuff. 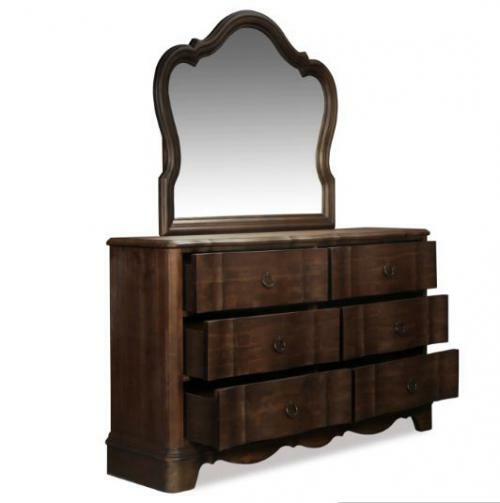 The vanity mirror that you can attach to the dresser will give you a place to put on your make up or get dressed. Unfortunately, it doesn’t have a lighting, that might become a functional addition to this extravagant collection. Actually, you can put on some lighting on it with some easy DIY step if you are more into DIY. On the other hand, the nightstand has 3 drawers that let your bedding essentials stay in reach. The top of drawers is more than enough to put a night lamp, photograph, and several little accessories. The price of $1,999.00 is not too pricey considering its high-quality material and rich features. 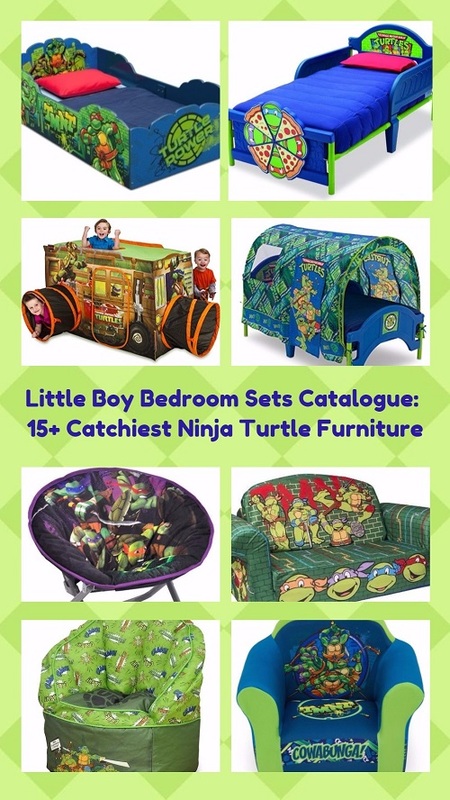 Indeed, you won’t feel disappointed to spend your money on this beautiful and durable furniture. For a comparison, a Calistoga 4-Piece Queen Bedroom Set – Charcoal, that is similarly equivalent in style and material, costs around $2,499. Meanwhile, with a little bit extra money, you can afford a Victoria 4-Piece Queen Bedroom Set plus an additional Chest. Sounds like a good deal isn’t it? So, this Victoria 4-Piece Queen Bedroom Set is nothing more but a bedroom majestic. 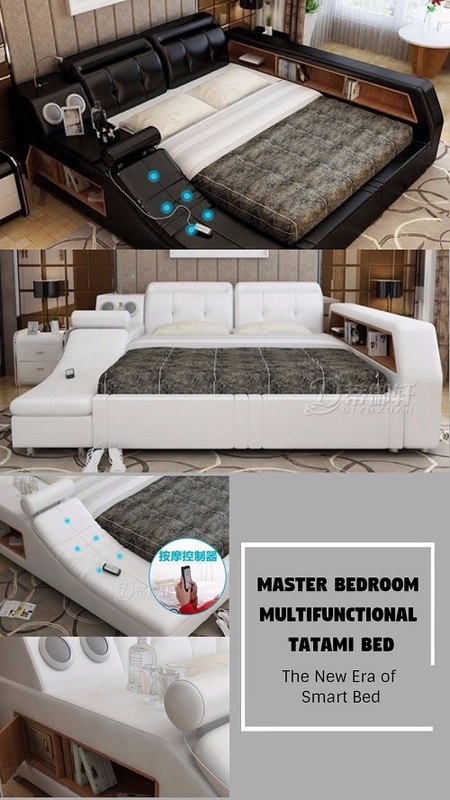 That quite pricey price tag is totally reasonable for such bedroom set which comes with mesmerizing design and sturdy construction. Also, its ‘Levin’ brand will guarantee you a good quality bedroom furniture that will last for years. 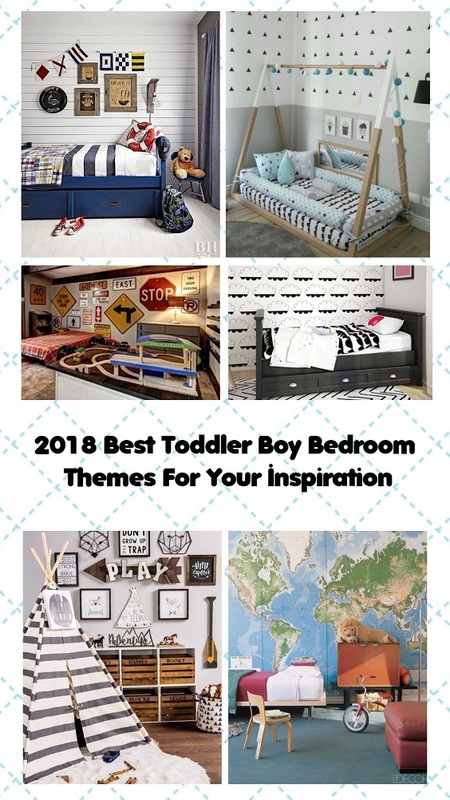 Don’t feel doubt to include this bedroom set to your top reference when you are looking for a great bed set for your next bedroom remodeling project.